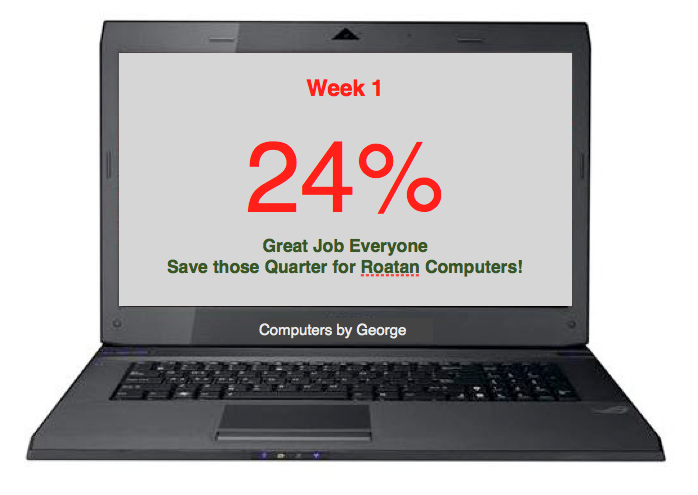 Thanks everyone for your great work during week one of our Computers by George fundraiser to raise money to buy computers for our friends at the Camp Bay School in Roatan. In just one week you have raised 24% of our goal! That is amazing what you have done! Keep up the good work and we will make our goal of buying to computers! Bring in your m&m tubes and I’ll make sure to bring more for you this Sabbath!